Fannie Webb Allen, 96, made her transition to eternal life on Saturday, September 22, 2018. 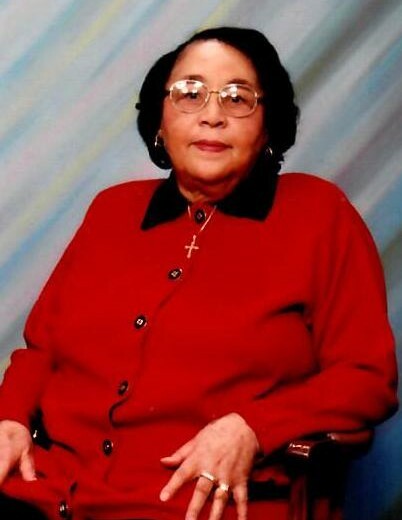 Fannie was a longtime resident of Gary, IN and South Holland, IL. She accepted Christ at an early age and was a member of the New Revelation Missionary Baptist Church in Gary, IN. She was gifted in the art of sewing, quitting and she loved to talk. Fannie will be missed by all who knew her and loved her. She leaves to cherish in her memory 7 loving children James Lee (Everlean) Allen of Chicago, IL, Edward Allen of Dolton, IL, Carrie Johnson of Chicago, IL, Georgia (Booker) Blumenberg Jr., Theveria (James) Ireland, Theodosia Payne all of Jacksonville, FL, and Barbara Clay of South Holland, IL; 28 grandchildren; 36 great-grandchildren; 10 great-great grandchildren and a host of nieces, nephews, cousins, neighbors, and friends. She was preceded in death by her parents Garrett and Sudie Webb and her loving husband James Allen.